Hausner Hard Chrome is proud to announce the addition of its new BP-1175B Hard Nickel plating to our on-site selective brush plating services. 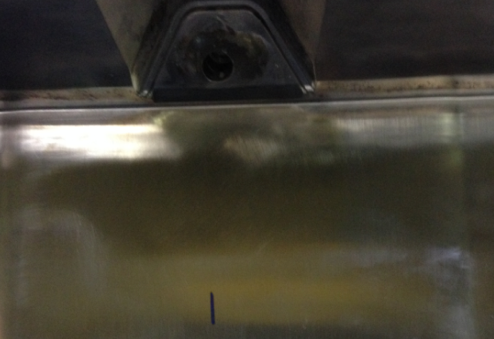 This process is considered a great alternative to chromium plating spot repairs. The new BP-1175B Hard Nickel plating is ideal for parts in need of repair that require a 58 Rockwell or harder deposit. Our portable system is able to deposit about 20 standard metals and a number of specially developed On-Site (OS) alloys on almost any base metal or alloy via electroplating. These dense metal coatings quickly and precisely cover parts that need repair or re-plating with reduced need for post machining and grinding. Our precise tools allow us to make spot repairs on many parts without stripping existing coatings, so your machinery can be back in use quickly. This process is an excellent choice for components that are too large or expensive to tear down and ship to a repair facility. How Does BP-1175B Hard Nickel Plating Work? Selective Brush Plating uses a negative charge supplied to the work piece and a positive charge applied to an electrode (anode) by the D.C. Power Pack. The anode is covered by a material filled with the plating solution. Then either the piece is rotated or the anode is moved across the part to obtain full coverage of the plating area. Because plating can only occur where the anode makes contact, this process is called selective plating. Does not contain hazardous hexavalent chromium. 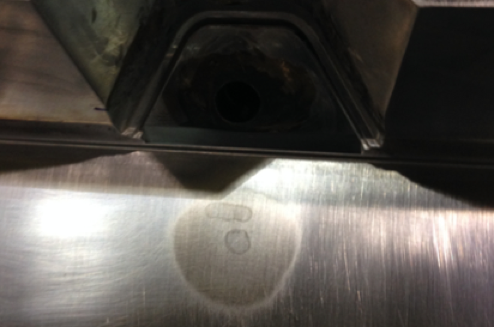 Has been proven to be a great alternative to spot repair of hard chrome plating. Does not need a relief bake. ASTM F519 meets requirement. Has been successfully tested on compression molds with more than 20,000 hits and no signs of wear. Shows an increase in hardness if heat treated @375 F for 23 hr. to 65Rc. Increases in hardness to 68-70Rc if heat treated @923 F for 2 hr. HHC On-Site Selective Brush Plating processes meet or exceed the specifications of MIL STD 865C and 2197. Every operator from HHC is carefully trained and given the experience needed to use power packs equipped to receive AC Input power and convert it into DC power, up to 500 amps. Operators can accurately monitor the plating thickness through the digital ampere-hour meter attached to each tool. When properly operated and applied, the HHC On-Site Brush Plating Process and its precision deposits meet or exceed most Military and Federal specifications. Many industrial and military functions have tested the process stringently and reported excellent results. The anode wrap material is infused with different solutions that are part of four groups: preparatory, stripping, plating, and special purpose. Absorbent anode wrap material, an insoluble anode, and an insulated handle complete the brush plating tool carried by each operator. Our preparatory solutions help provide a clean and active base for quick adhesion. The plating solutions come in a range of pure metal or alloy metal deposits including our new BP-1175B Hard Nickel Plating. Special purpose solutions include anodizing, electro-polishing, conversion coatings, black nickel coatings, and others. We take great precautions around your equipment to ensure safety and compliance are met. In addition to MSDS and Technical Data for each solution, our products are specifically formulated to be used by trained HHC professionals. All On-Site technicians have been fully trained in safety compliance, lock out tag out procedures, specific client plant safety programs, etc. Safety and Environmental Managers routinely approve all chemicals and equipment utilized by the HHC On-Site Selective Brush Plating team. All material and supplies brought on site are accounted for and removed. HHC is ideal for spot repairs on molds, dies, metal forming tooling, bearing and journal repairs, corrosion control, and other application uses. Parts that are too expensive or unable to be remanufactured through traditional methods are excellent candidates for effective and economical HHC Selective Brush Plating. Ensure optimal part performance with on-site plating from professionals who are trained to deposit precise thicknesses for each part. 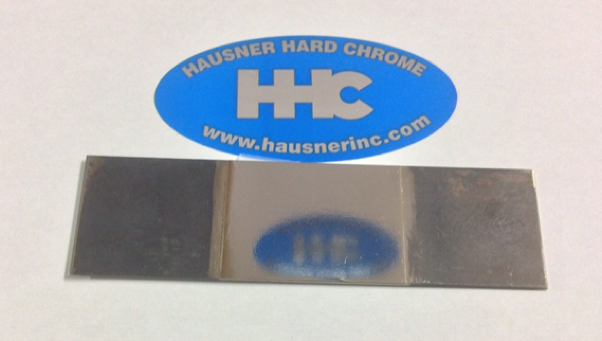 Hausner Hard-Chrome is considered the leader in Industrial/Engineered Chromium plating. Our services provide valued solutions to customers with both large and small problems coast to coast. Contact us for more information or professional advice on your parts and projects at www.hausnerinc.com. Sample strip showing BP-1175B hard nickel in center. Stamping die after repair with BP-1175B hard nickel.